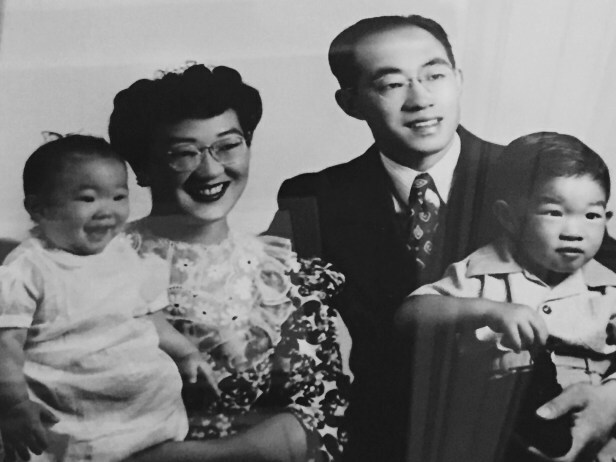 Educator, author, and Philadelphia JACL board member, Teresa Maebori, started to retrace her family's WWII experience when she asked her 98-year-old mother to join her on a pilgrimage back to a town near Boise, Idaho called Caldwell. It was where her parents spent the war years doing hard, manual labor to support a vital war effort: the harvesting of sugar beets. But perhaps the stronger drive was to be in control of their fate as a young family. In a cruel and unusual twist of timing, her parents had just been married shortly before Pearl Harbor. "They were married on November 22nd, 1941. And two weeks later, it was Pearl Harbor. So they began their married life in a concentration camp," Teresa says. 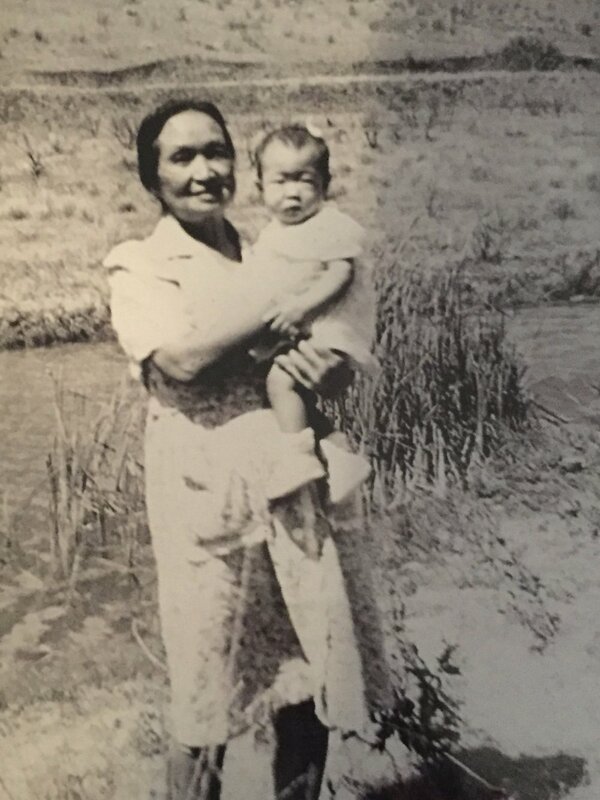 Teresa's older brother was born in Tule Lake, while she was born in 1945 in the labor camp. In retracing their family's past, Teresa and her younger sisters came to realize that their mother went into Tule Lake pregnant, surely affecting their decision to leave. "We were trying to imagine what she must have felt like going in there, in those conditions. Not realizing what kind of medical treatment she would get and how she would care for this child. So they soon realized that if they could get out, they'd get out." Teresa's efforts to shed light on the labor camp experience was covered in a piece by the The Inquirer, which wrote a profile on her efforts to bring the Uprooted exhibit to Philadelphia. I was born in the labor camp. My older brother, who was two years older than I, was born in Tule Lake. In that discovery, I didn't really know about the labor camps. My parents didn't really tell me about it and I knew that they had gotten out of Tule Lake but what they said was they were sponsored by a farmer. So I was born in Caldwell, Idaho and on my birth certificate, I'm searching for the farmer's name or sponsor's name. My mother was still alive at that point [in 2014], she was 98. So I said, 'Would you like to go with me?' And then at the same time that I was writing an article about our experience, I discovered Uprooted online and it said it had a traveling exhibit. The exhibit was a resounding success and it was the first and only exhibit on the East Coast of the labor camps. But when I went into the Uprooted website and I learned all this historical background, my mother did not know much about that either. My parents had just been married, they were married on November 22nd, 1941. And so two weeks later, it was Pearl Harbor. So they began their married life in a concentration camp. This summer, my sisters and I went to Tule Lake because that's where they were incarcerated and we realized that my mother went into camp pregnant because my brother was born in Tule Lake. So we were trying to imagine what she must have felt like going in there, in those conditions. Not realizing what kind of medical treatment she would get and how she would care for this child. So they soon realized that if they could get out, they'd get out. So that's why they volunteered for harvesting sugar beets. Were they farmers before that? So this was new for them. Well, my father was a jack-of-all-trades. He had been a person who worked with his hands. He graduated from high school but didn't go onto higher learning. My mother however graduated from the University of Washington and she had a BA in what we could call Home Economics. I forgot exactly what it was. She was really good at sewing and she liked design. One of the things she had told me before was when she graduated from college and went to the college counselor and the counselor said, 'Well I don't know why you went to college because there are no jobs for you. You'll never get a job.' Because you know, opportunities for women but opportunities for women of color were just not there. And my father worked for his brother-in-law in a pottery in Auburn, Washington. So they volunteered to work in sugar beets and so they were assigned to Caldwell, Idaho. And fortunately Caldwell was a camp that had previously been created because of the migrant workers from Arkansas and Oklahoma from the Dust Bowl and the Depression. And so they had moved out West to seek their fortune because there was nothing where they were. So the federal government created these low-income housing, basically. But when the war came, they didn't need to work in dirt beet fields because the war industry was all stoked up and I'm sure some of them volunteered to join the military. So those camps were empty and what I learned is that the labor camp movement happened for the sugar beets because they had no workers. And the Amalgamated Sugar Company lobbied to get workers and so the farmers said, 'Well, there are all those Japanese in those camps.' So they recruited and luckily my parents were assigned to Caldwell. I say luckily because many of the people who left the concentration camps were considered seasonal workers, so they lived in tents. They had a wooden floor and they had tents. I think they went when they had to plant and then the harvest was over, and they went back to the camps, which sounds horrible. Yes. So when we went, the labor camp still exists but it's now low-income housing. I think in the late ‘50s or ‘60s they tore down the original cottage and constructed these fourplexes. So that's what they're like now. But this building still remains, and it was the post office, the market and the employment office. And the other structure that's still left is the water tower. So Michael Dittenber is the director there, so he gave me the history and took us around. They had assembly halls, they had schools. And I was amazed, at the vegetation and they had playgrounds. So when the Japanese Americans came, this shows them living there. And some of them didn't leave until the late '50s because many of them had nothing to go back to. And I think they knew they had housing, and they knew they could get employment. And are these all family photos? So no one came into document the living quarters, correct? These are all family photos? Yes, this wasn't documented by Russell Lee. These were the family photos. So it was fascinating. So that opened everything up and I talked to my mother about it and I asked, 'Do you remember this, do you remember that?' And she said 'No I don't because I was taking care of two infants.' And then I thought too, I wondered how much she was traumatized by this whole thing and didn't want to remember. I do mention in the article that she remembers that the Matsuis were there. Robert Matsui, his family was in the labor camp but they were really fortunate because once they were in that labor camp, they did not have to go back to Tule Lake. I don't know what they did in the off-season but I imagine they had things to do. My dad was a supervisor. He became a supervisor and one of the stories I told when I took people through the exhibit is that there are often pictures of them gathering up the workers to go out to farm in these pick-up trucks. And my mother said one of the things she does remember is that my dad and she would kind of chuckle because many of the workers were young kids, young guys from San Francisco and Los Angeles and they had no idea what a hoe was. They had never done that kind of work. They did not know. That must have been shocking for a lot of them. It was, a big shock. They didn't grow up on a farm. Many Japanese Americans did but many didn't. Did your father pass a little earlier than your mother? My dad died when he was 65. He had a stroke ten years earlier and a series of small strokes and heart problems. So he died in the '80s. But my mother lived until 2014 when she was 98. And did you ever talk to your father about this? Not really. At that time, I was probably in my mid-thirties and it wasn't part of my consciousness. I knew it but I wasn't really totally immersed in it, and so I didn't ask a lot of questions. And as you know, people didn't really talk about it. I think people's consciousness began to be raised when the Commission came out and I think people felt an obligation to speak up. So I think when they began to hear other people's stories they felt it was alright. What do you think that's about? I've heard that over and over, that people felt less shame around sharing even though everyone knew it was wrong. But it was only when redress was officially given then the community could finally start healing. Well I think the community began to heal when people began to testify, when there was attention to it. Of course there was lots of controversy, people said 'Why bring this up? This is past. We need to move on.' I don't know if you know about Philadelphia but we had some very strong people here, one being Grace Uyehara. And Grace was the lobbyist in Washington for redress. She was a mover and shaker, she was an amazing person. And Judge Marutani who was the only Japanese American on the Presidential Commission, he's from Philadelphia. So Philadelphia was a very strong group of people who believed in it and believed that something could be done. Not everybody agreed but there were determined people. One of the comments my mother made was that she never thought that the government would ever apologize. So the most meaningful thing for her wasn't the money, it was the apology to say that it was wrong, to admit that. Because Japanese Americans are such a small proportion of the population. I lived here when all that strategizing was taking place and they thought that could never happen, that we didn't have enough power. But through the efforts and willpower of Grace, basically, she brought together coalitions and she got involved with the Civil Rights Coalition of D.C. They found out that Jim Wright, who was a Senator from Texas, they were able to get him on board because the 442nd rescued the Lost Battalion and they were from Texas. And they're revered in Texas, so he was for it. So they keyed in on various people because they knew they could get California, Washington and Oregon, they knew that. But where else could they go? So they worked that. They were lucky. And my dad had a job because his brother-in-law still had his pottery, so my dad worked in the pottery and became a supervisor there. So they came back to Auburn, Washington and I grew up there. And I came out here because there was a job. But a lot of the Japanese Americans that are in Philadelphia, some came from Seabrook because that was a place they recruited workers but also the Quakers. They were very helpful, they got places for the Nikkei who were qualified to go to college, they got them into colleges. And a very good friend of mine worked for the American Friends Service Committee, so the Friends did a lot to try to help the Japanese Americans. There were Nikkei who were from here, originally and so their story is different because they never sent into camp. Yes, those perspectives are interesting, people who grew up on the East Coast. I spoke to someone who was an MIS vet who thought he was more Italian than Japanese growing up. Well they weren't a critical mass, they weren't a threat. Both of my parents were Nisei and my mother grew up in a small town north of Seattle in Burlington, Washington. They were one of three Japanese families that lived in that area. But they assimilated into the community because they weren't a critical mass, they weren't a threat. And it's really interesting because when I was doing research, I found out that a young woman from that area was doing a doctorate thesis on the three Japanese families living there, and they were all middle class. On the West Coast it was so different because of the economic threat they posed. Because they were so successful. It was so economic. In Idaho in particular, the governor was really racist against Nikkei. And he was one who first suggested concentration camps. But then, when the Amalgamated Sugar Company said, 'we need workers,' he changed his mind. So in this day in age you can understand, it's the same with Muslims. People just have this stereotype, people just think of them in one way as terrorists. And we were all spies. During the exhibit, there were several Nikkei who came so instead of me talking, I asked what their experiences were. So one woman brought her family to the exhibit, and her sons were mixed heritage, and she says she had never told them about it. But she was so grateful for the exhibit because now she could explain it. She said she heard from her family that they had a store or restaurant before camp and of course they lost it all. So when they got out, they had nothing and so a friend said that they could live on their farm and live in a tin shack. Worked night and day, apparently. Finally were able to save enough money to buy a restaurant but she was just in tears about, you know, 'This is what my family experienced.' So the stories are just really amazing. The resilience. And there's also an assumption that it's not in the nature of the Japanese community to lament about the past. I think yes and no. I only knew my grandparents after the war and I remember always whenever I visited them, they always seemed sort of placid. Of course they only spoke Japanese, my grandmother did speak some English. And they belonged to a church but my grandfather always seemed a little depressed. And my mother would talk about how he was this very dominant person in the family and he disciplined them harshly and it never squared with my image of him. But I think he was depressed. He had come to America, he had worked his way through, he had a successful business, and then in a second, it was destroyed. And of course he was probably in his 60s and 70s, so how do you start over? So then you have to rely on your children. Your sense of agency is gone. Right. So that's why I say that I think if you're young and you see that there's a future, then you are resilient. And I think that's what happened to a lot of the Issei. So emotionally, do you feel like this ever affected your parents? They got on with life. My father was very industrious, he had a big personality. He grew up in Pendleton, Oregon. And I don't know, I never really asked him, but he was able to bridge community so he felt comfortable in the white community as well as the Japanese community. His mother died at childbirth with his younger sister so he was kind of brought up by his elder sister who was born in Japan. I don't know how much that affected his sense of how much he had a stake in the family. But I think in that day in age, Japanese Americans pretty much stayed together. My mother on the other hand because she lived in this community and they assimilated very well, we never had any problems. She never felt uncomfortable having white friends. We probably had as many white friends as we did Nikkei friends. And I grew up in a small town so it wasn't like Seattle. Because in Seattle, much like San Francisco or L.A., you get into that enclave and you're part of that. I think in my graduating class of 300, there were maybe six of us Nikkei. So I never felt that I didn't belong. I shouldn't say that. I did feel that at times, especially in adolescence and I heard racist comments, too. So I knew I was different but it didn't prevent our family from being successful. There were five of us and we did very well. My father at one point was Father of the Year and my mother when she turned 80, they have this contest called Pioneer Queen and she won Pioneer Queen. 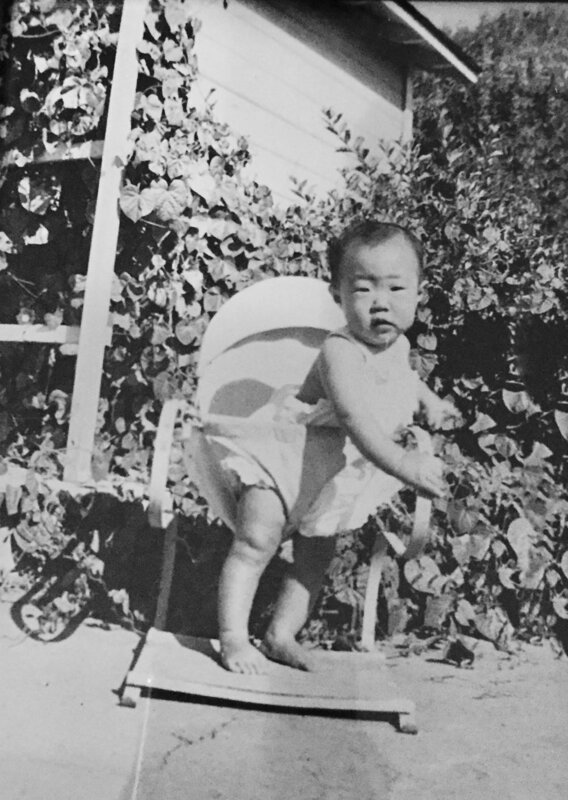 She was the first Japanese American Pioneer Queen. Sounds like they were very respected and well-liked. I've had reunions with my classmates and one of my friends I was telling, 'You know, I never really felt a lot of prejudice.' And he said to me, 'Well that's because we protected you.' So, you wonder how much was said that I didn't hear. And you mentioned that you felt you had this consciousness later of looking at the history. Was there something that changed? Well, I'm a product of the sixties so at that time, movements started with Black awareness. I think at the same time, Asians started to find out more because we never learned about this in school. So when I came here to Philadelphia and I joined the JACL, as I said this is really an activist chapter. So I learned a lot about it. I also was chapter president and was on the national board. And I was appointed Education Chair because I'm a teacher. I think once I became active here I was much more involved. It just really fascinated me that I could be 70 years old and not know all this that happened. What my parents experienced, why the government did this. Why did people leave the camps to go work in the fields? It's just fascinating. So you said your mother went back to Caldwell. What was her reaction? Well it's interesting. It was 2014 that we went and she was ill. She had been suffering for several years from sciatica. So she was in pain and when we took the trip she wasn't feeling well and I didn't know the extent of it. So we went in August, she died in October. I think she was glad that I was trying to discover, and that it was interesting to me. Because to her it wasn't interesting. That's a part of her life that she wants to forget. And so, we went to see Mike and we talked about it and he asked her what she remembered. And there were curious things. One of the things she did say was that when my dad was out working, they had a car. I don't understand how they had a car but she went into town, and she said she remembered the 'No Japs' signs. So there were places they couldn't go, they were always confronted with this. So I think that generation isn't like our generation that grew up with the thought that we're all equal. I think they understood it but they also knew that their parents were immigrants, and so they weren't quite up to par, so to speak. And then of course what happened with Pearl Harbor then just destroyed their lives. And they would forever be associated as the enemy. So I've always had a little tinge when December 7th came but I didn't experience like they experienced it. I often have that similar conversation with people that we can't take what they went through for granted. Not that they didn't have their own fun or enjoy life, but the sense of security we have is something they didn't. Our generation, really our parents, did become successful and did enjoy that. So we're standing on the shoulders obviously. I don't think any of us feel it could be snatched away immediately like that, but I think our generation feels that you can plan, and you try to do this and that. But we had something to start from. A warm thank you to Rob Buscher of the Philadelphia JACL and Philadelphia Asian American Film Festival for coordinating this interview.